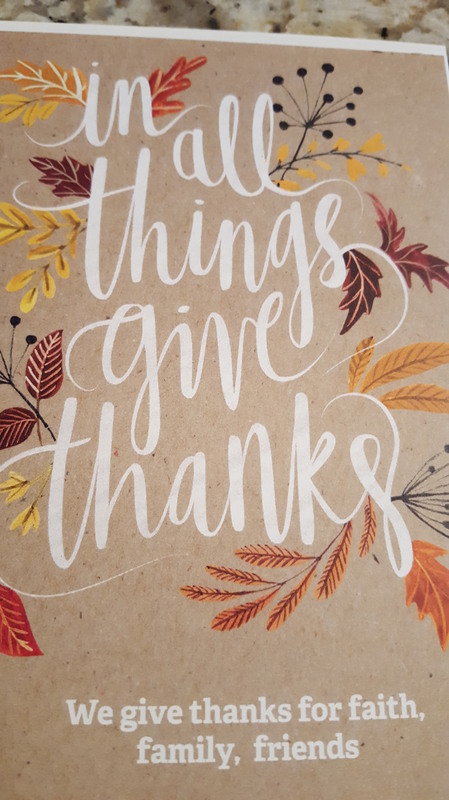 In all things give thanks. We give thanks for faith, family, friends. Special thanks to my Internet friends who have educated, entertained and comforted me during the past year. Posted on November 24, 2016 November 22, 2016 by lorigreerPosted in My JourneyTagged blogging, Faith, Family, friends, learning to blog, Thanksgiving. Next Next post: It’s Just So Good You’re Here! You as well, Lori, have a wonderful holiday. Hope you and yours have a fabulous Thanksgiving!! Enjoy the best happiness this coming season!! Thank you! I give thanks for the service of our military throughout the years. I have a duty to live the best life possible to honor their sacrifices. Happy Thanksgiving to you too! A wonderful statement and creed to live by, Lori!! Lorie, may your Thanksgiving be filled with many moments, large and small, for gratitude. Spending time with my little grandson is wonderful. Children are such a gift. Happy Thanksgiving. May you live in the place of being able to give thanks for the wonderful memories and love of the past. Thanks for what is your present. And with joyful anticipation give thanks for the journey of life and the days ahead. THANKSGIVING keeps the heart steady always on this HIGHWAY OF LIFE. Blessings! Hope your weekend is full of things you love! Thank you. Being with my little grandson is the best. I hope your holiday is awesome too. Awesome post & Happy Thanksgiving! Happy Thanksgiving Lori! I hope you will have a lovely week! It was a very nice day. Thank you for asking. Instead of the traditional meal, we had a Mexican feast. It was delicious. That’s great! Glad you enjoyed it.